Growing up on the East Coast, Ray learned early on the importance of a good hustle in order to achieve great success. Owning a few startup companies, Ray paid his way through school, where he received his Bachelors in Marketing & Advertising from the University of Delaware. Having a thirst for knowledge and a desire to travel, he left the states for 2 years to pursue a MBA in International Business in Australia. Upon completing his MBA at 23, Ray decided to enjoy the rest of the year traveling to South East Asia, Europe, Central & South America and South Africa. With an open mind, Ray decided that the East Coast was no longer where he wanted to reside. He was determined to move to Los Angeles with a dream of starting his own business. He did so by setting up an international export company specializing in high-end luxury cars in Beverly Hills. After a successful 5 years, the international market place no longer supported American exports. He took all of his passion, knowledge, negotiating skills and education and entered the Santa Monica Real Estate industry. Ray joined Keller Williams Realty to continue his aspiration of being an industry leader. Incorporating all of his educational experience Ray quickly rose to the top. In 2013 he was “Top 1% of all Keller Williams Agents in the Country”, as well as receiving the Triple Gold International Medallion Award. Ray is also ranked in the “Top 1% of All Real Estate Agents Nationwide” from 2014 - Currently From 2015-2017 he was top individual agent in the Santa Monica Keller Williams Office. He has completed just over a half of billion dollars in transactions in his real estate career. Recently Ray was given an honorary position on the ALC (Agent Leadership Counsel). The ALC serves as an executive board and it consist of the top 10 agents who manage the market centers profitability, growth, culture and education. 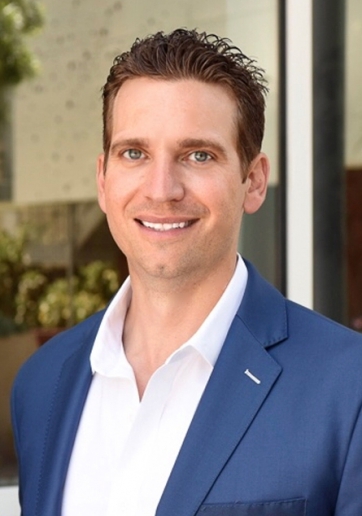 In addition, Ray enjoys giving back to the agent community and regularly teaches classes at the Santa Monica market center designed to develop and grow agent’s productivity. If Ray is not working on your behalf, you can find him taking advantage of the great California weather and outdoor activities with his wife. Ray has pushed himself all his life and likes to take on new and challenging tasks. He is motivated by lofty goals and will do whatever it takes to serve you and gain your business. He knows how to get the job done and will provide you with the highest level of service and professionalism.